DPR Says BUK Missiles And Their Documentation Were Destroyed At Warehouse In Ukraine’s Ichnya 4.2222222222222 out of 5 based on 9 ratings. 9 user reviews. On October 9th, during a briefing, the official representative of the Armed Forces of the Donetsk People’s Republic (DPR) Daniil Bezsonov claimed that the arms depots in Ukraine’s Ichnya, which caught fire and exploded in the early hours of the same day, contained Buk missiles and documentation related to them, all of which were destroyed in the incident. He also reiterated that the fire happened at a time when Ukraine was to provide data regarding the Buk SAM system missiles in its arsenal for the investigation into the death of 298 people as a result of the crash of Malaysian Airlines MH-17 which was downed in the skies above Donbass. 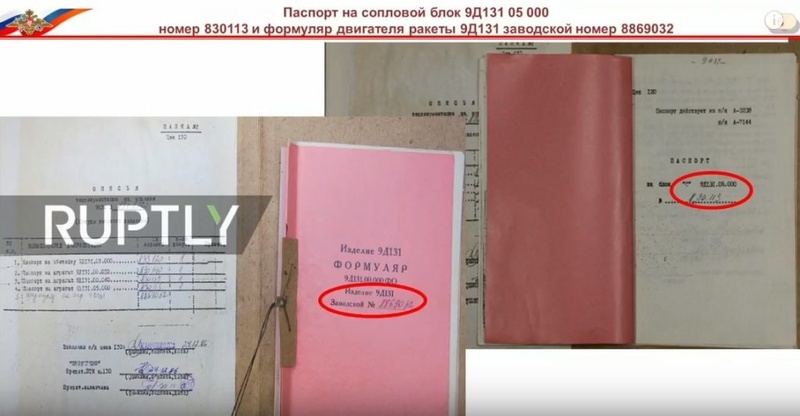 Earlier in the day, Ukrainian 112 channel reported that the depots contained surface-to-air missiles in addition to other arms and ammunition, along with documentation for the said missiles. Ukraine’s Security Service, the SBU, released a statement that an investigation had been launched on suspicion of negligence, and that all possible causes are being reviewed, including sabotage. One of the deputy chiefs of the Armed Forces General Staff, Major General Rodion Tymoshenko, said he suspects sabotage, though he did not point to a possible culprit. “There were two simultaneous explosions first and they were followed by two other explosions on the other side of the depot. The explosions caused the fire,” he said. “The intensity of the explosions in different parts of the depot indicate that it was most likely a sabotage,” he continued. According to the political scientist Aleksandr Semchenko, cited by StalkerZone, the detonation of ammunition warehouses is another attempt to cover up the plundering of military property. “It seems that again someone was caught stealing and thus theft was hidden again via a way of concealing of abuses that is proven to be reliable. I think that it was theft. Perhaps weapons were sold to Donbass, to that side, or perhaps somewhere else. Poroshenko reacted to the event a little unconventionally, more actively than the last few times. It is quite possible that this time he is not a subject of it,” assumed the expert. Officially, Ukraine has not confirmed the presence of the Buk missiles in the warehouses. This is of interest because on September 17th the Russian Ministry of Defense held a press conference which revealed new details of the MH-17 crash. 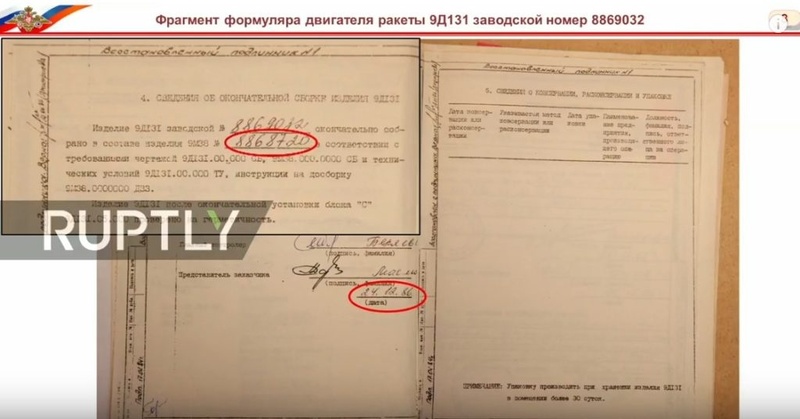 After reviewing evidence by the international investigation team, the Russian side came across evidence that the origin of the missile that downed the airliner was Ukrainian. Secretary of the National Security and Defense Council (NSDC) of Ukraine Oleksandr Turchynov has said Russian side’s statement was false. More than three weeks following the Russian briefing on the new findings, the International investigation team is yet to provide a detailed comment on the presented facts. Ahh public Enemy 911 is a joke…classic track. Funny that, however, Russia still has there records. Must admit, I do like the brief from the Russian Government to Malasia. 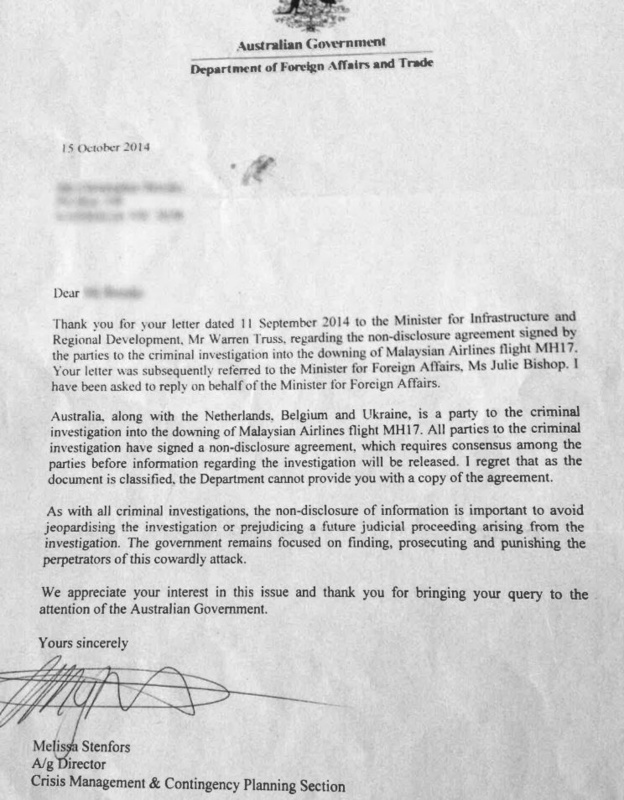 Why did Australia, Netherlands, Belgium and Ukraine have to sign disclosure forms, so not to speak the truth with regards the MH17. Vassals being told all down their political and bureaucratic lines – do not question or contradict the NATO official narrative – in any way, shape or form. Because America does not want it known that it got Ukraine to shoot down a passenger plane. For all the pleas you hear from Americans, that they are helpless and have no control over their politicians, American politicians expend a lot of energy hiding the truth. One old Jew to another, how do you have a flood?